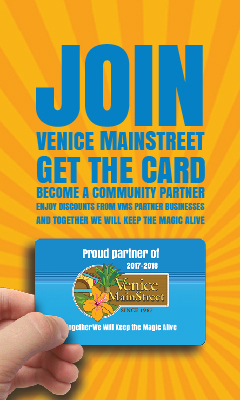 Venice Area Young Professionals was initiated by a small group of members active in the Venice Area Chamber of Commerce who shared a vision that Venice would benefit from a Young Professionals group. In 2006, the VAYP was formed as a committee of the Chamber and since then has become a large and vital organization in the community. Today, the Venice Area Young Professionals, provides professional development opportunities for members, volunteer activities that make an impact on our community, and social activities for individuals and families to share in. VAYP’s mission is to unite, lead and encourage involvement to create a vibrant and prosperous community. June 16th- Leverage with LinkedIn Lunch and Learn with Gretchen Miscik at Venice Area Chamber of Commerce 11:30-1:00 pm. June 17th- VAYP Rise N Grind Networking at Venice Wine & Coffee 7:30-9:00 am.